I am in love with this little, quaint, shabby chic restaurant in Zante town. My friend and I went here back in June, and again last week, and we fell in love right away. 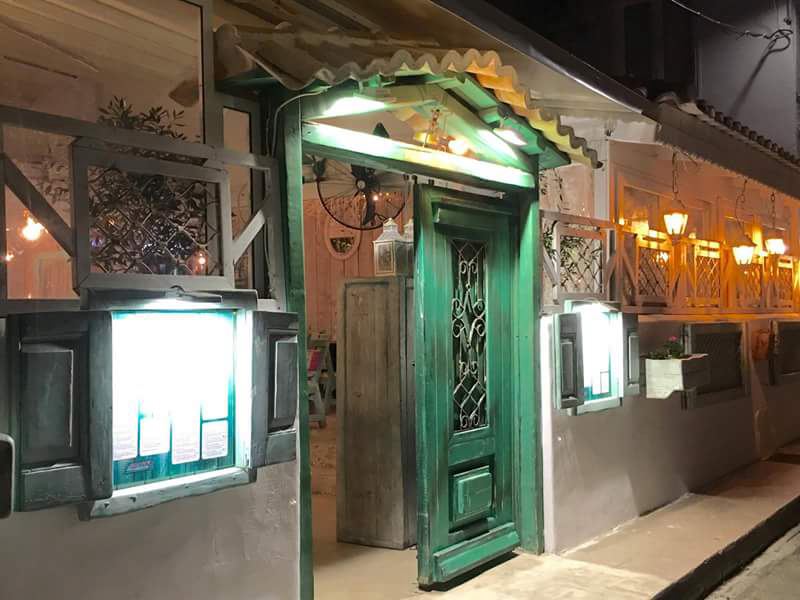 This is a bright and vibrant boutique style restaurant; the décor inside is so warming and welcoming, making it very homely, with a great atmosphere. The owner of this restaurant is the Chef, and she works wonders with flavours. She is an expert in the area of special dietary needs, and uses organic ingredients. She is a vegan, so understands vegan requirements, but also offer choices for vegetarians as well as serving meat and traditional Greek recipes. The Greek food here is more of a sophisticated Greek cuisine. The prices tend to be a bit little more than average, but it is worth every penny. Both times I have been here the food has just been out of this world, with so many flavours running around in your mouth. If you’re ever in Zante Town, this is definitely worth a visit. I would have to say that it’s my favourite restaurant in Zante Town that I have yet to find. They have very friendly staff, and our waiter was having a laugh and joke with us, and couldn’t do enough for us. In the busy period of the summer July/August this restaurant gets fully booked, so I would always make a reservation in advance, if you are coming then.